Here at New Dec Ltd we have over 22 years of experience in providing quality painting and decorating solutions for the commercial sector. As a leading UK painting and decorating contractor we understand the importance of providing high quality, reliable workmanship at a fair price. A large part of our work involves NHS contracts and care homes we understand the importance of providing a top quality service with minimal disruption to ongoing care. To this end we have developed a structured site management team who are well used to ensuring that all painting and decorating projects run smoothly and to an agreed timescale whilst delivering on quality and workmanship. Our team work closely with clients to ensure a swift and efficient outcome. With a dedicated team for the Healthcare sector New Dec Ltd are proud to provide a flexible and efficient operation which will not impinge on daily routines. We realise that it is not just about using the best materials but it is also about having a dedicated and skilled workforce who take pride in what they do. Here at New Dec Ltd we have a large, skilled workforce who are directly employed and trained by us to ensure that our clients get the very best possible service. 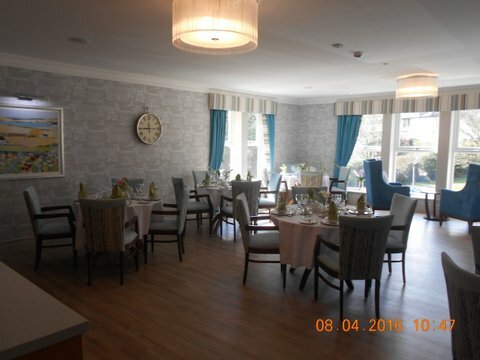 New Dec Ltd are proud to provide decorating and painting services for Avery Healthcare's five star homes as well as Gracewell Care Homes, Maria Mallaband Homes, Ideal Homes and Hadrian Healthcare whilst also being a trusted painting and decorating contractor for the NHS. Over the years we have built up an enviable reputation for delivering an excellent standard of finish in all our decorating and painting projects. We are also renowned for the excellence of our service and workmanship. With a large portfolio of corporate and business clients right across the UK you can trust New Dec Ltd to deliver on quality.